April 10th, 2019 approaches as the day when Belizeans will vote “Yes or No” to take the Guatemalan’s territorial claim to Belize at the International Court of Justice (ICJ). 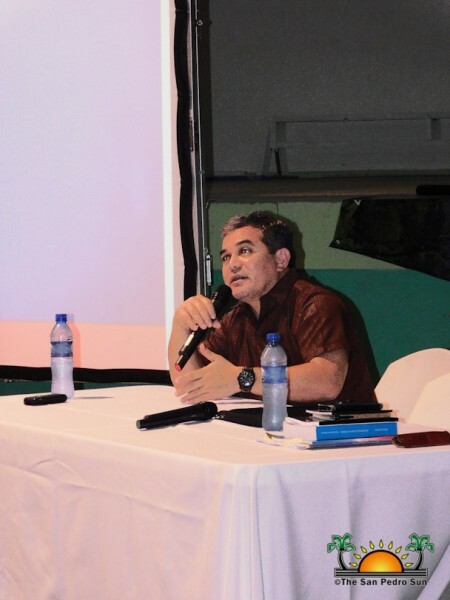 Many educational sessions have been hosted across the country to educate Belizeans about this dispute and help them make an informed decision on Referendum day. 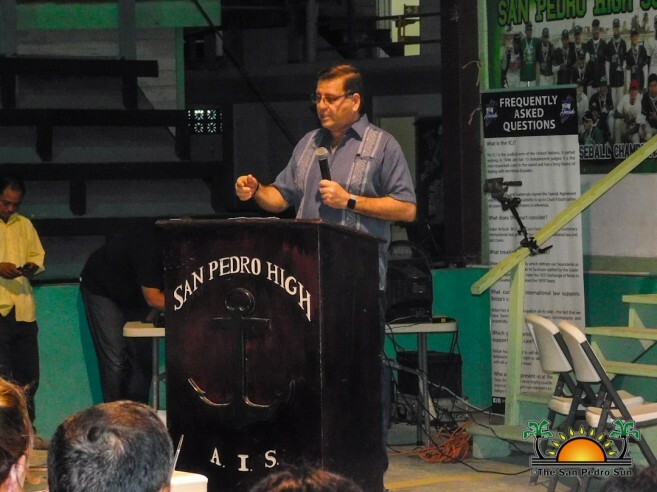 In San Pedro Town, the ‘ICJ Be Informed’ session was hosted at the Angel Nuñez Auditorium on Thursday, November 29th. 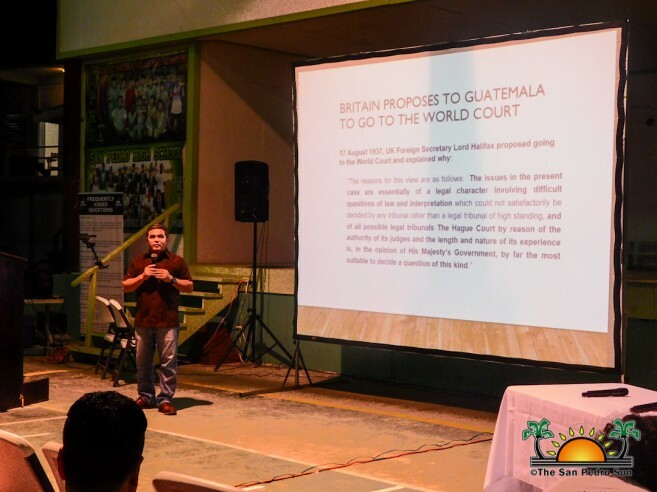 The presentations were facilitated by the Ambassador of Belize to Guatemala, Alexis Rosado, and former Belizean politician and author of the six-chapter book, ‘Guatemala’s claim to Belize: The Definitive History,’ Assad Shoman. The event began promptly at 7:30PM, with the singing of the National Anthem followed by a short invocation. Mistress of Ceremonies, Erica Aguilar, Lecturer at the University of Belize welcomed everyone and thanked them for their interest in attending the educational session to learn more about the territorial dispute between Guatemala and Belize. First to present was Rosado, who began by stating that the court will make its decision based on the law and evidence. “The court doesn’t go by who they know better or which country is most developed, when the court makes its decision, it will go based on the evidence both parties have submitted. 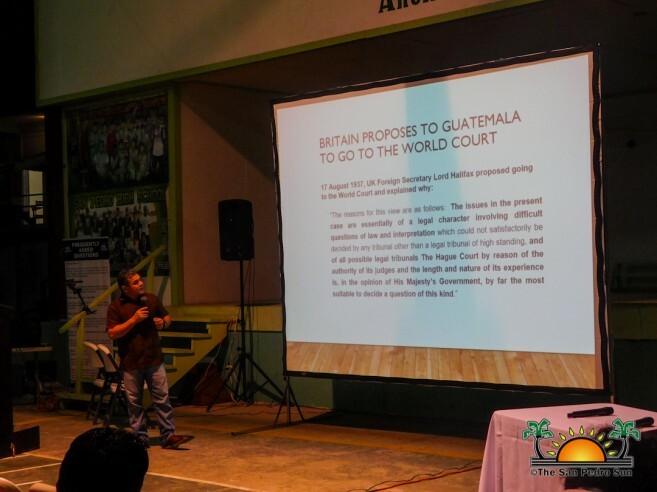 Guatemala doesn’t have any evidence to prove that Belize was ever for them, nor that they have ever occupied this country.” Rosado added that from way back then, Britain proposed to Guatemala to take the issue to court, but they refused to go. He continued by stating that when the court takes the decision, they will look at many things such as the treaties, International customary law, the general principles of law, and judicial decisions. Rosado ended by advising everyone to vote yes to put an end to this long-disputed issue. 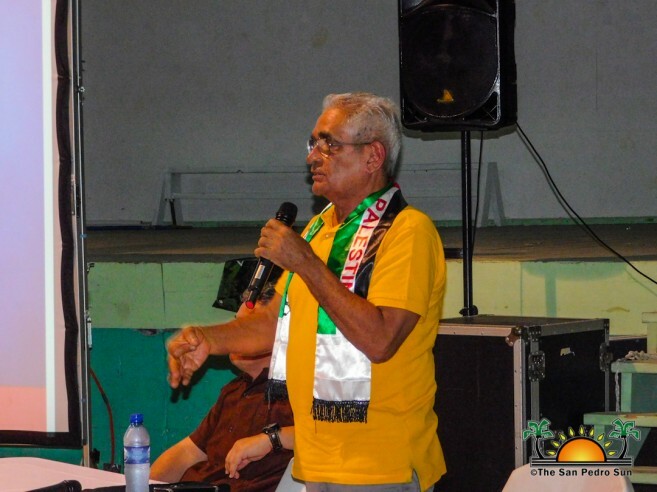 Following the presentations, the floor was open for a question and answer segment, where many islanders voiced their concerns and asked questions that would guide them to make a better decision on Referendum day. For more information on where and when the next educational series on the Referendum and ICJ, you can follow MFA Referendum Belize on Facebook.